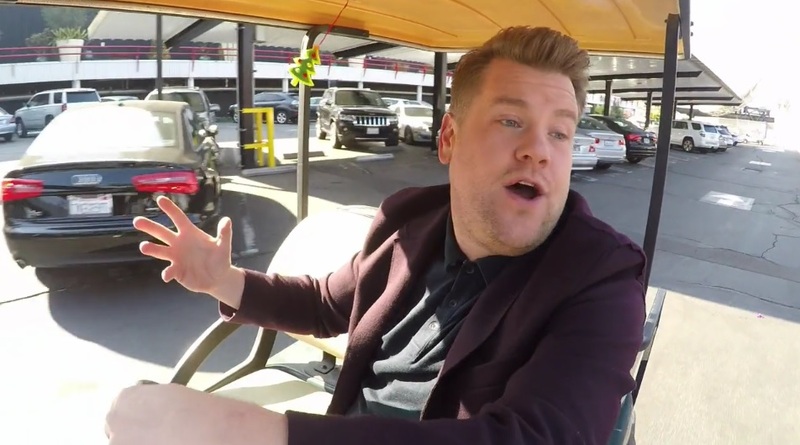 Britain’s ‘Man of the Moment’ and host of the Late Late show, James Corden has teamed up with McDonald’s UK to put his very own Karaoke skills to use, joining people from all over the UK in singing the Wizzard classic ‘I wish it could be Christmas everyday’ during their Christmas journeys. The unique one off advert will air during the break of one of the most popular programmes on Christmas Day – Coronation Street. The one off advert is the final part of the ‘The Journey to Christmas’ campaign, which was created in partnership with Leo Burnett London, OMD UK and Razorfish and directed by James Rouse. The initial ‘Journey to Christmas’ TV advert launched in November, featured a young family making a long car journey just before Christmas Day, joyfully singing together ‘I wish it could be Christmas everyday’. The call to action encouraged the people of Britain to dust off their vocal chords, embrace the festive spirit and film themselves singing along to Wizzard’s 1973 classic on their Christmas journeys. ‘The Journey to Christmas’ campaign has been a huge success to date, with hundreds of entries submitted from the great British public, all displaying the ‘Good Times’ that can be created on any Christmas journey. The campaign was supported by an extensive social media campaign and a brand new festive hub on www.mcdonalds.co.uk designed to show off as many entries as possible in the build up to Christmas. “We set out to do something different with our festive campaign this year and we needed the British public to turn it into something special” said Steve Hill, Head of Marketing at McDonald’s UK. “It gives me great delight to confirm that they’ve done just that - our backseat singers really steal the show with this advert and we’re very proud of how well it has turned out.